In this unique general birthday forecast, you will gain detailed and specific insight into your Solar Year ahead based on YOUR individual Solar Cycle! Unlike the weekly forecasts Heather provides through her YouTube channel, which are focused primarily on the energy of the Rising Sign, these highly accurate forecasts are based on the energy of your specific Sun placement within the Zodiac (aka “Sun Sign”) and do not require a birth time! This video includes an in-depth look at your personal Solar Year ahead, beginning and ending with your birthday (aka “Solar Return)! I will be releasing one video per month, beginning with Aries on March 1st! Each video will be released roughly three weeks prior to the Sun’s transit through your Zodiac Sign in 2019/2020. Pre-order your forecast to receive 25% off! Each video lasts 90-120 minutes and includes a detailed overview of your personal Solar Cycle based on your Sun Sign and Birth Date! Part one of your Solar Return forecast video will go over the general Solar Return energy for the year ahead for your Sun Sign, while Part 2 will emphasize key dates and specific transits for the next 12 months. 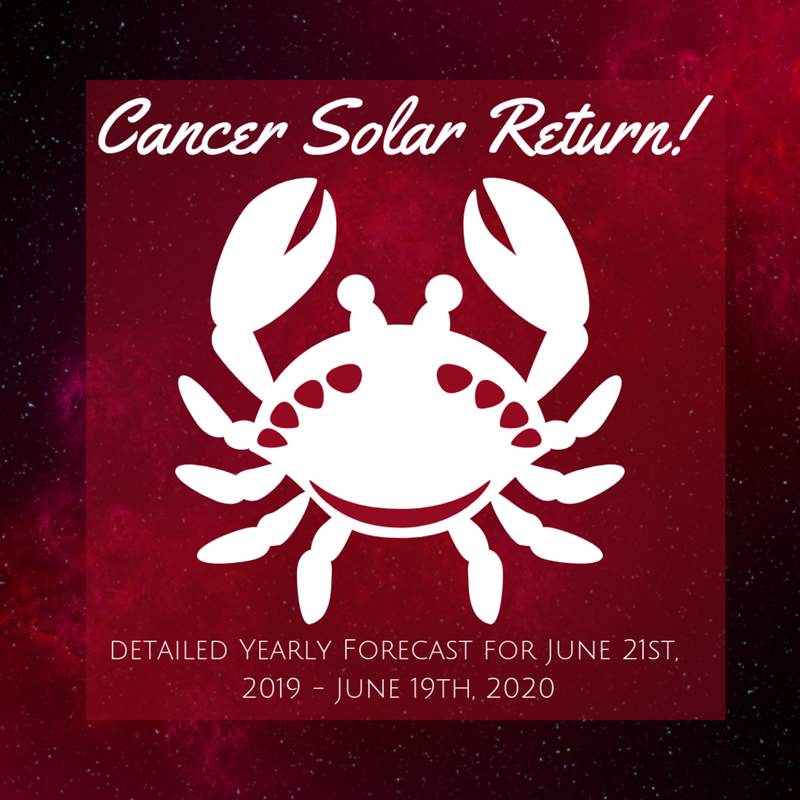 Specific forecasts are provided for those with birthdays that show particularly active Solar Return charts for the year ahead (timestamps included)! A PDF file with key dates for specific birthdays will be included and elaborated on in greater detail throughout the video. *Please note that this is a detailed general forecast for the year ahead for your Sun Sign, not a personal astrology reading. *Please allow up to 48 hours to receive your order. Solar Return Yearly Forecasts are for educational purposes only and are not intended as a replacement for professional medical, financial or legal assistance. All sales are final.